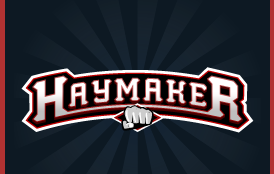 DraftKings is going big for UFC 192, and I love it. MMA on DraftKings is a seriously good time if you happen to order the fight, or if you decide to watch it at your local pub. It’s almost like watching your fantasy QB go up against your own Defense. You want your QB to throw touchdowns, but would love the RB to fumble for a defensive scope-and-score. Here, lets say you decided to take Evans. Of course a first-round knockout would be clutch for any DraftKings card, but a couple of takedowns, and fiver minutes of significant strikes wouldn’t hurt anyone. With this fight card, it’s almost impossible for the avid UFC not to watch and possibly pick a DraftKings card. Other than the recent drop-out of Hendricks due to an emergency room visit, this card is still one of the best of the year.